Sci-Fi! Fantasy! Select your geek fandom of choice and prepare to do battle in Splatoon 2's next Splatfest! It's been a strong month for Nintendo Switch. But if anyone can pull themselves from Super Mario Odyssey or Doom long enough, it may be time to return to Splatoon 2. The next Splatoon 2 Splatfest will pit two sides of geekdom against one another. 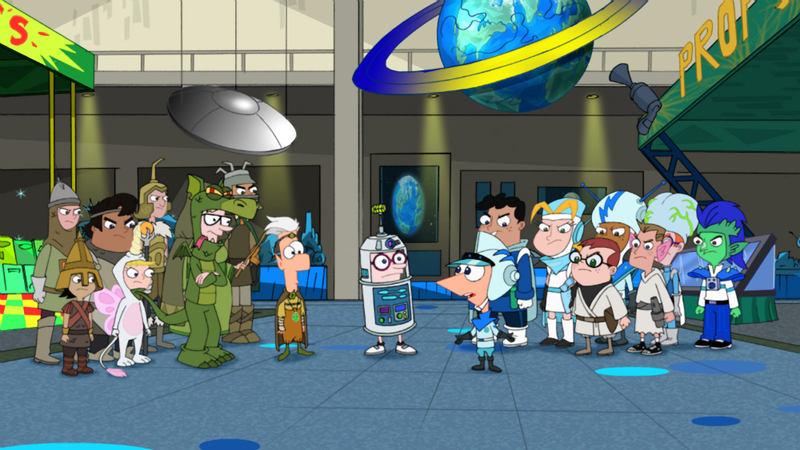 It's Sci-Fi vs. Fantasy, in a matchup that's straight out of "Phineas & Ferb." The Splatfest is set to kick off on Friday, November 17 at 9PM PT and run for 24 hours. That'll give players a week to declare their allegiance. Simply walk up to the designated billboard around the center of Inkopolis Square and pick a side. Who will emerge victorious between the futuristic space nerds and the sword-and-shield fantasy geeks? Come back next weekend to see who comes out on top.